The brown lawn has been an eye sore to the owner of the house for quite a while. He had been wanting to replace it with something more beautiful, but did not know where to start. 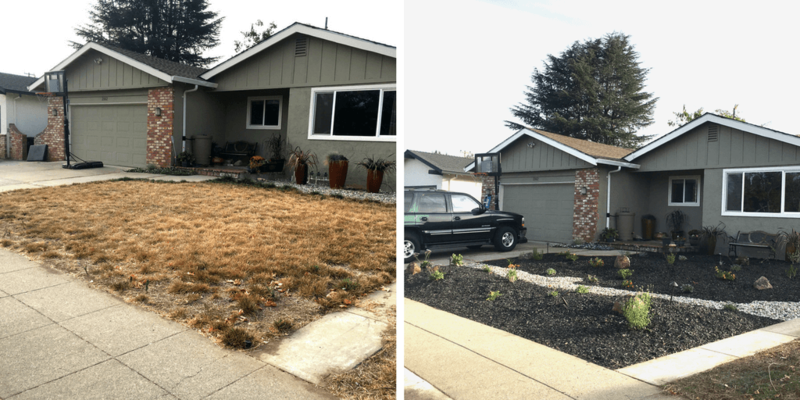 Since California’s drought five years ago, he put in his effort to conserve water, turning off the sprinklers. Sure enough, the lawn went brown. 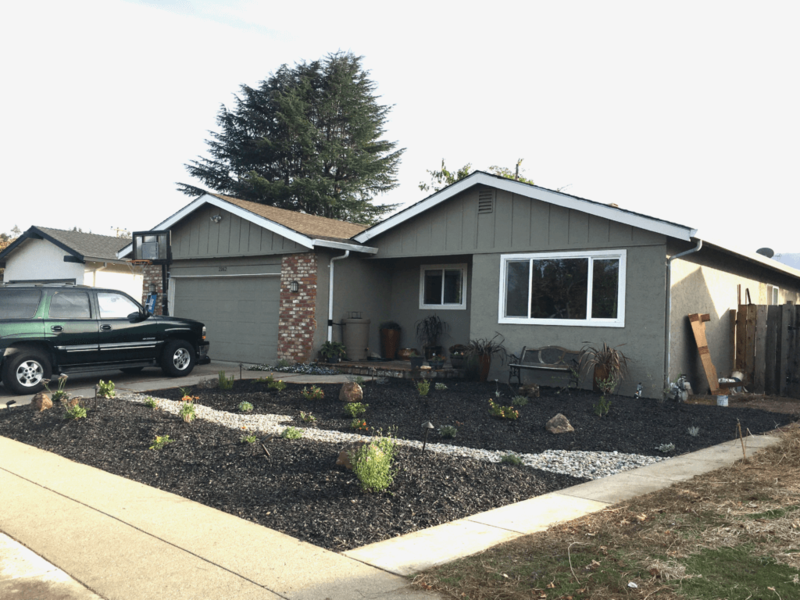 He heard about Landscape Conversion Rebate Program, but did not know how it worked. When he had a chance to talk to the designer, he was happy to find out everything would be taken care of from end-to-end. Not only will they design a water efficient garden to replace the lawn, but also take care of the program application paperwork. Hassle free – that was exactly the way he wanted. 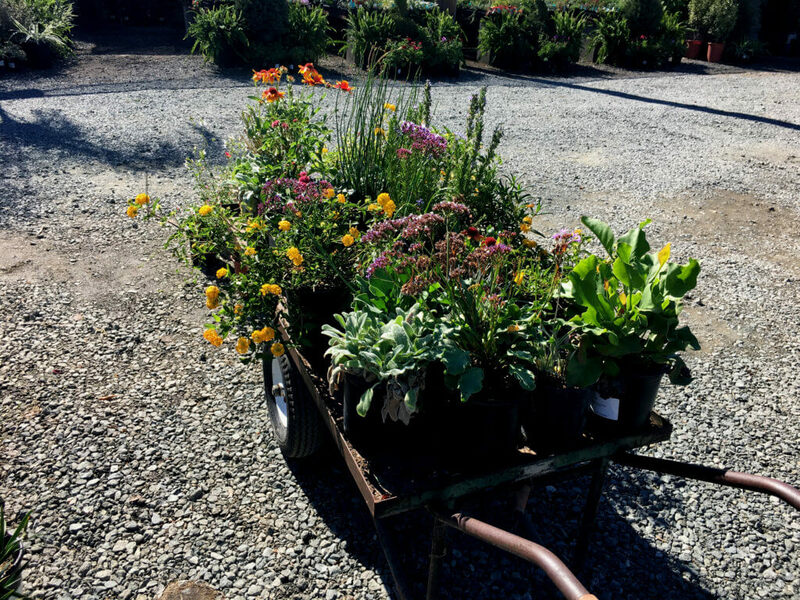 The owner favored a natural and easy look for the garden; he also had some pebble stones from his last project, which he would like to repurpose for the new garden. 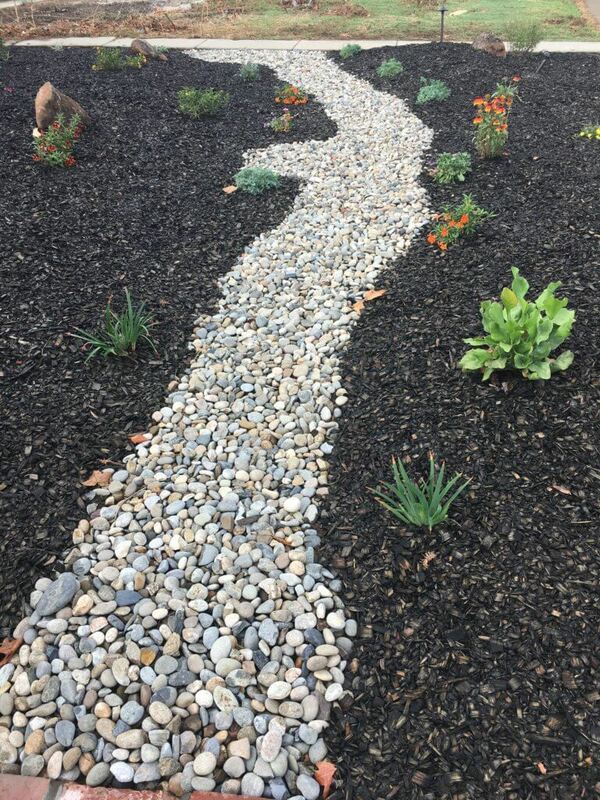 The designer decided to do a “California Native” garden. The selection of plants showed this focus. Low maintenance: they can thrive on their own; no or little care is needed. Attracting pollinators: the bees, birds and butterflies sure like the plants that they know well for tens of thousands of years. Those bees and birds need more food, and this will provide them. 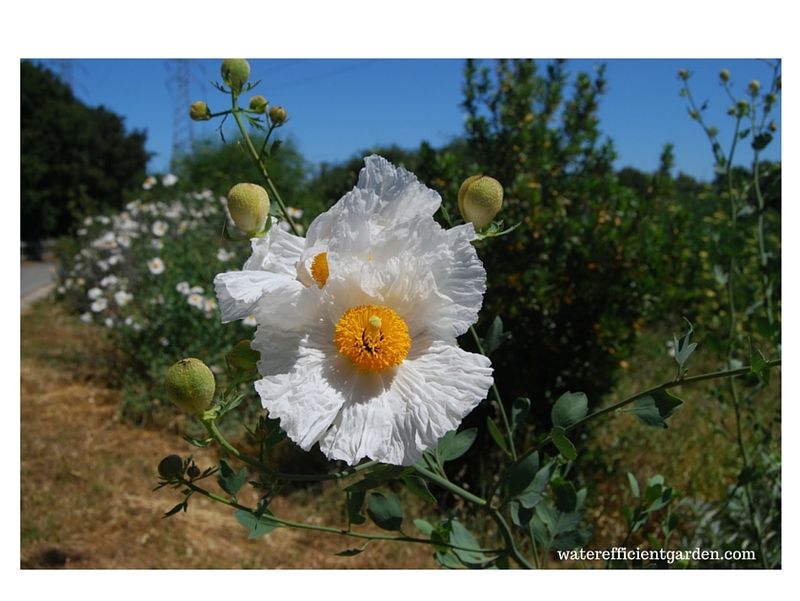 These California Native plants are picked for this garden. 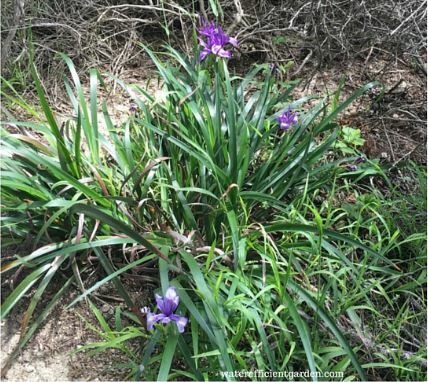 Douglas Iris: beautiful blue iris, native to areas along west coast. Buckwheat: pretty small pink flowers will bloom most of the year, its nectar is the favorite of butterflies. 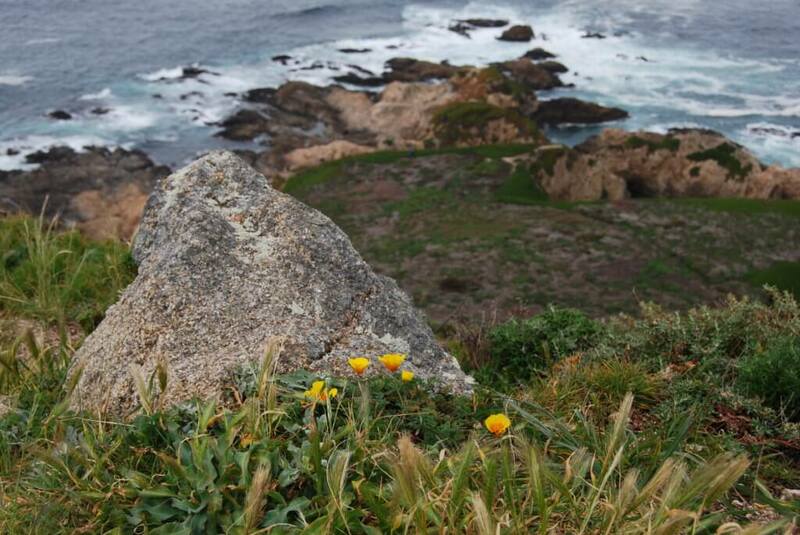 Monkey Flower: The full yellow blossom can be seen everywhere along the coast in spring and summer. Some cultivars have bright red flowers, which are equally pretty. California Poppy: the golden state flower. The designer included the design into application materials and submitted it. 2 weeks later they received the Notice to Proceed. All the materials were purchased. The brown grass was first removed. Next was to create a miniature “nature”. The curves for “mountains” were added, and a “river” was made with the cobble stones. Then the piping was done, all the plants planted. The whole area was covered with black mulch, which contrasts nicely with the river and the colors of the flowers. Along with the lawn conversion approval, the garden also qualified for an upgrade with automatic irrigation controller and rain sensor. Both were installed after the garden. 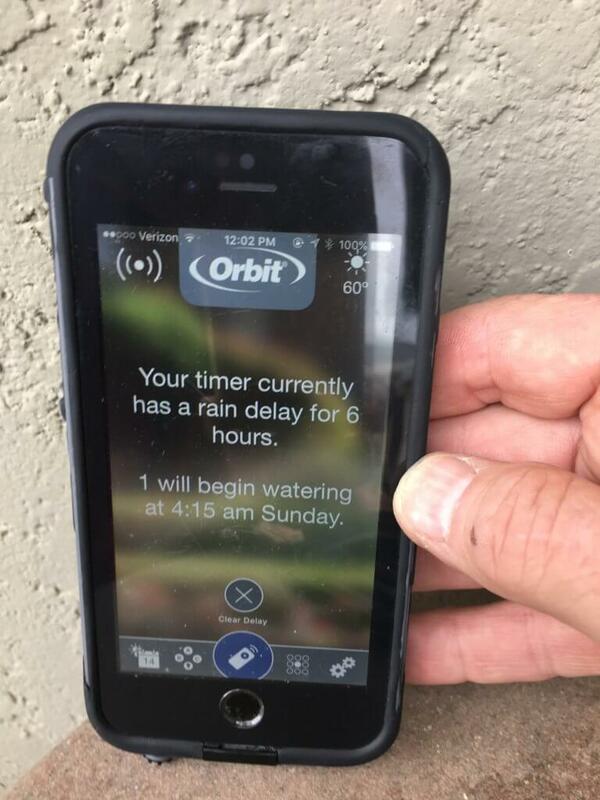 With the rain sensor, when it rains, it will detect and transfer the information to the controller, which will shut off the next watering scheduled. This way the irrigation water can be saved. 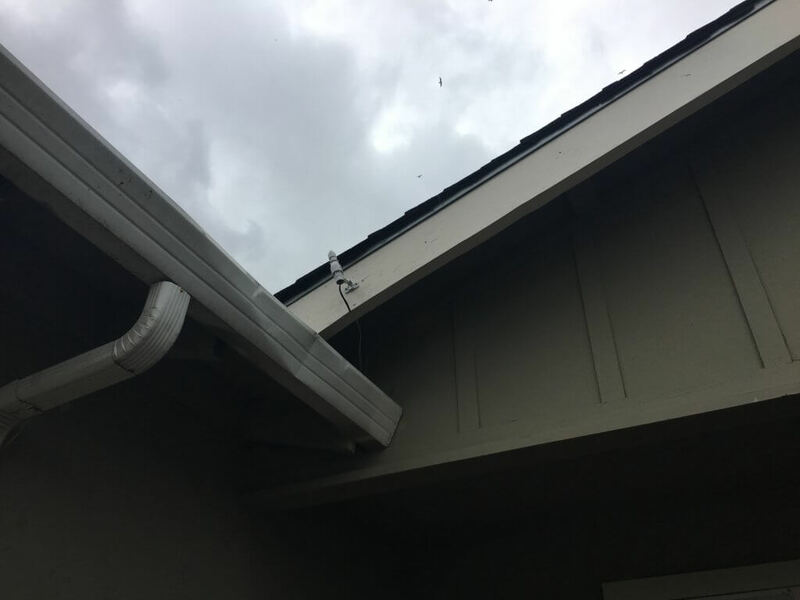 It rained right after this was installed. It worked! 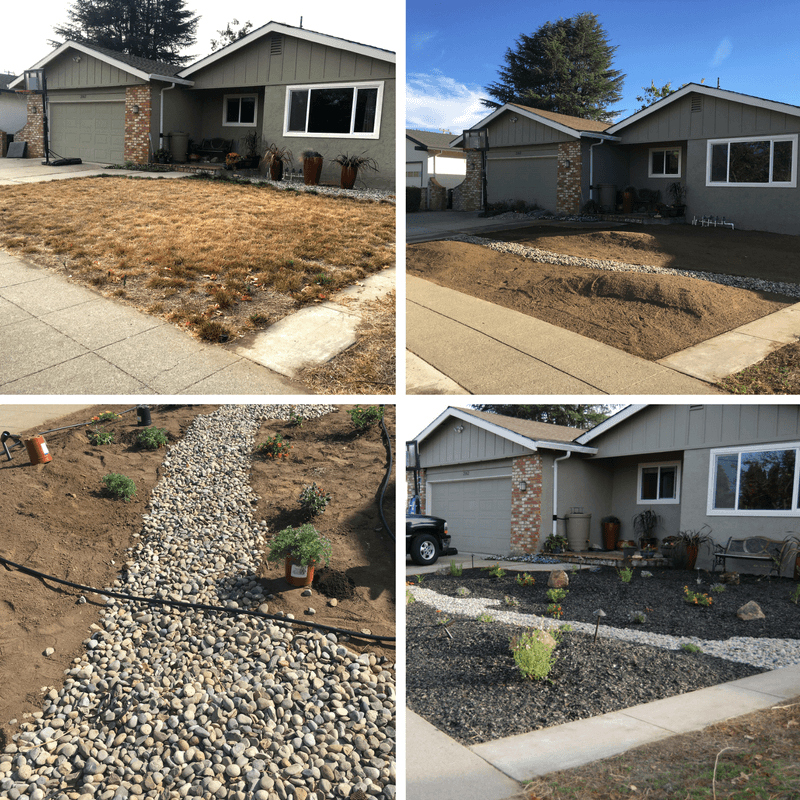 Within a couple days, a brown lawn was successfully transformed to a beautiful water efficient garden. The eye sore is gone, and the owner has something nice to enjoy and more to look forward to. If planting in December or January, in much of coastal California and the Sierra Nevada mountains this first watering may be enough.